The 9 Best Karaoke Bars in Rhode Island! Let loose and warm up the vocal chords. 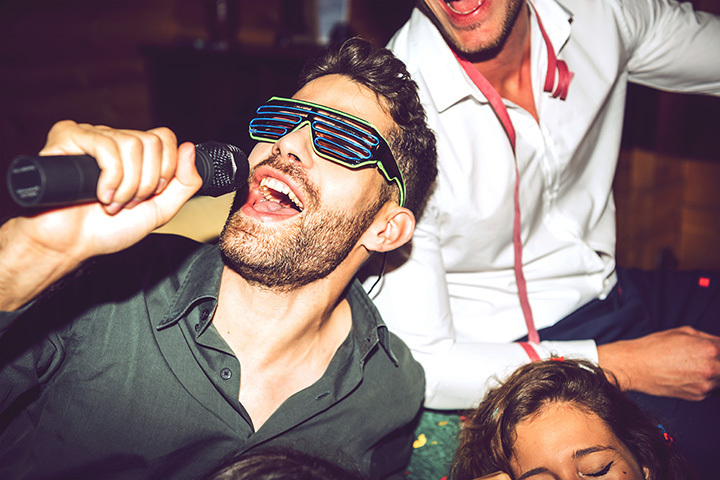 Karaoke bars provide the chance to have a couple of drinks and belt it out in front of your friends—if you’re a professional singer or not so great at holding a note. Sing all the classics at these 9 great karaoke bars in Rhode Island! Want to switch it up from a typical night out in Providence? Located in the Dean Hotel is The Boombox, which offers private rooms and reservations. The bar is small, so make sure to reserve a room or get there early to enjoy belting out some tunes whilst sipping on a sake-based cocktail. This little dive bar is always switching up its scene. On Friday nights you’ll typically find karaoke, which starts kicking off around 9:30. You might start just by singing to a group of friends, but the space will be plenty crowded as the night goes on! Every Tuesday, step up to the plate for open mic! It’s not exactly karaoke, but it’s just as fun and the stakes are just as low, so feel free to go wild with it! This old-fashioned dive bar caters mostly to an older crowd, with plenty of familiar friendly faces. Stop by on Friday or Saturday and make sure to put your name down early if you want the chance to sing. This dockside location serves up amazing pizza, a great complement to your singing voice for karaoke every Friday and Saturday at 10 p.m.
Come for the comedy and stay for the karaoke night! A DJ will keep the songs moving from 10 p.m. to 2 a.m. every weekend following an evening of comedy and entertainment that starts at 8. Looking for all-you-can-eat Korean barbecue and private karaoke? You’ve come to the right place! Their private rooms are fitted with great audio equipment and comfortable sofas to recline in as your friends sing along to the latest Korean, Japanese, Chinese and English hits. Call ahead to inquire about karaoke nights at Amadeo’s. Though it’s a small place, this restaurant and lounge is a great place for hearty Italian food paired with a lively atmosphere! Enjoy belting out some karaoke at Patriot every night from 9 p.m. until 1 a.m. With over 20 HD televisions, three pool tables and even dartboards, you’ll never be bored here!